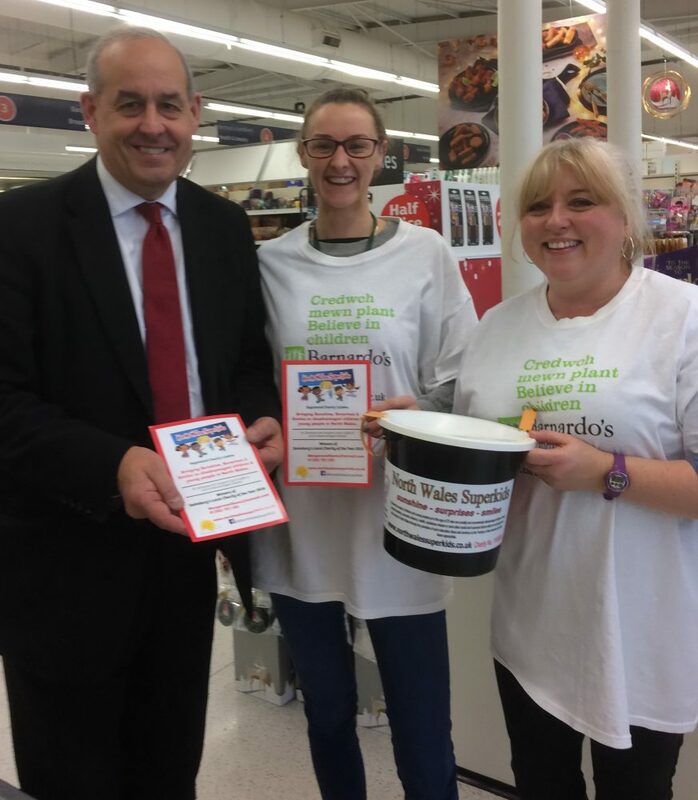 I joined fund raisers in Sainsbury’s Flint to help collect money for the excellent Superkids charity. Superkids has been providing care for children since 2001. Superkids was set up in 2001 by a working mum, Terri Bourne. She needed somewhere she could trust to look after her own children at the beginning and end of the school day so she could continue working. They were the winners of Sainsbury’s local charity of the year 2018. We were collecting in Sainsbury’s today to help the charity provide gifts to disadvantaged children and allow them to go and see a Panto. Last year Superkids gave a sack of gifts to 1,476 disadvantaged children. If you want to learn more about the charity you can do by visiting here.